Some of the most indispensable tools in your tool box are your electrical meters. They help gauge current, voltage, and electrical problems, blocks, and surges --- as well as identify how much electricity is consumed. 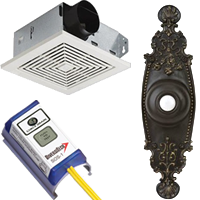 Electrical meters and test equipmentcan be used by professional electrical contractors or by ordinary homeowners. Whether you're a homeowner, landlord or electrical contractor, you'll find an electrical meter and electrical calculations to be indispensable tools. In planning, designing, and troubleshooting, these tools will provide a wealth of knowledge --- and power. For a wide variety of electrical meters, look to Elliott Electric Supply --- a premier electrical distributor with over 800 employees and 100 locations in the southern US. From arrestors to PVC electrical conduit to wireduct, we've got your electrical needs covered. With great pricing, expansive inventory, and fast delivery, you'll find no better wholesale electrical supplies distributor online than Elliott Electric Supply. -- Browse our products and start saving today!